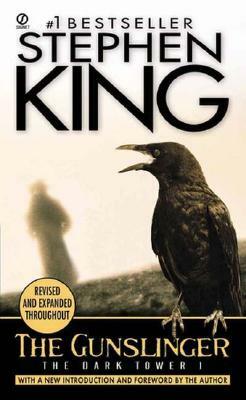 In 1978 Stephen King introduced the world to the last Gunslinger, Roland of Gilead. Nothing has been the same since. Over twenty years later the quest for the Dark Tower continues to take readers on a wildly epic ride. Through parallel worlds and across time, Roland must brave desolate wastelands and endless deserts, drifting into the unimaginable and the familiar as the road to the Dark Tower extends beyond its own pages. A classic tale of colossal scope crossing over terrain from The Stand, The Eyes of the Dragon, Insomnia, The Talisman, Black House, Hearts in Atlantis, Salem's Lot and other familiar King haunts the adventure takes hold with the turn of each page. This heroic fantasy is set in a world of ominous landscape and macabre menace that is a dark mirror of our own. A spellbinding tale of good versus evil, it features one of Stephen King's most powerful creations The Gunslinger, a haunting figure who embodies the qualities of the lone hero through the ages, from ancient myth to frontier western legend. The Gunslinger's quest involves the pursuit of The Man in Black, a liaison with the sexually ravenous Alice, and a friendship with the kid from Earth called Jake. Both grippingly realistic and eerily dreamlike, here is stunning proof of Stephen King's storytelling sorcery. Stephen King lives in Maine and Florida with his wife, novelist Tabitha King. He has written more than forty books and two hundred short stories. He has won the World Fantasy Award, several Bram Stoker awards, and the O. Henry Award for his story The Man in the Black Suit, and is the 2003 recipient of The National Book Foundation Medal for Distinguished Contribution to American Letters. His Dark Tower books include: The Gunslinger, The Drawing of the Three, The Waste Lands, Wizard and Glass, The Wind Through the Keyhole, Wolves of the Calla, Song of Susannah, and The Dark Tower."